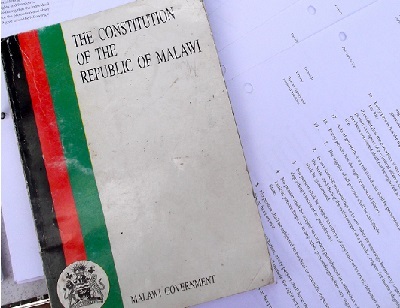 On this post you will be able to download the constitution of the Republic of Malawi or view it online, depending on the type of browser you are using. Example, those of you who are using Chrome on a PC, Tablet or Smartphone should be able to load the .PDF directly onto your browser window without having to save it in a folder to access. This Constitution of Malawi, which repealed the Constitution of 1966, was provisionally adopted on May 16, 1994. It came into force a year thereafter on May 18, 1995 and has been amended 13 times since then. The current Constitution contains the amendments up to 2010. The Constitution can be amended by a two thirds majority of the Assembly, but the amendment of its substance can be done only through referendum. The Constitution, establishing a republican form of government, provides for the separation of judicial, legislative and executive powers. The Executive is composed of the President acting as Head of State and Commander in Chief of the armed forces, two Vice Presidents and a Cabinet (Chapter VIII of the Constitution). The Legislature is made of a unicameral Parliament, vested with all legislative powers of the Republic. Parliament may delegate to the Executive or the Judiciary the power to make subsidiary legislation, provided that such legislation does not substantially and significantly affect the fundamental rights and freedoms recognized by the Constitution (Section 58). The Judiciary is composed of a Supreme Court of Appeal, a High Court and Traditional Courts (Chapter IX of the Constitution). The Constitution does not contain provisions that specifically refer to the protection of intellectual property rights, however, article 26 provides for the right of each person “to use the language and to participate in the cultural life of his or her choice”. Furthermore, Article 28 guarantees the rights to accumulation and protection of property.